The March meeting was followed with an open discussion question and answer session. Questions were raised around several common issues. The following is based on my notes from the meeting. Q: Why doesn’t HSE screen kids? Dr. Bourff indicated this was a regular question. He indicated that the district does not screen kids. Q: Could we restrict the size of backpacks? This is something that could be considered. Another question that was raised at the public meeting was in regard to using clear backpacks. Dr. Bourff indicated this is something that they would take under consideration as well. There was also an indication that at some point (years) in the future, the use of technology might reduce or eliminate the need for backpacks. My personal thought to this is based on feedback I’ve heard. Clear backpacks are not necessarily a viable solution. Would you also remove pockets, coats, purses, and other areas where items could be smuggled into a building? Additionally, there are some items that are needed by kids such as medications and personal hygiene items that could be embarrassing to carry in a clear bag where other kids could see them. I don’t have an answer written for this question. 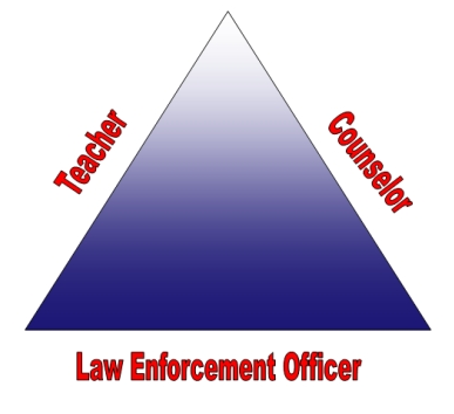 Part of the role of the SROs is to build these relationships and to work on keeping communication open with students. It is hoped that teachers, counselors, and others would do this as well. Q: Is the school district considering metal detectors? Dr. Bourff addressed this question with a response that it was “not likely. Maybe.” He indicated that metal detectors are not shown to be effective. In addition to weapons being left outside of a school, there are numerous issues that come with the logistics and costs of using metal detectors. There are enough details around metal detectors that I’ve written a separate commentary on the topic. Q: Will class parties be taken away? 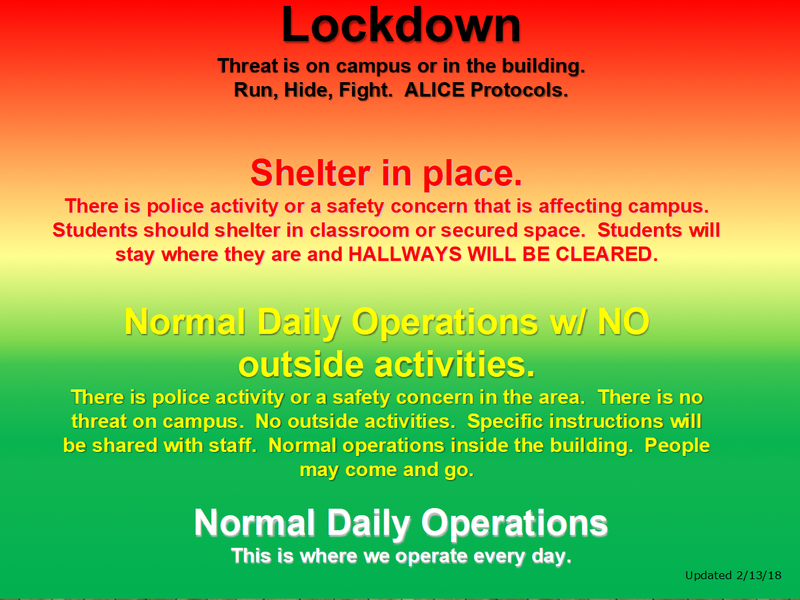 For example, the “Wellness Walk” at one of the schools is rumored to be possibly taken away. Dr. Beresford responded that they don’t want to frighten the kids, but they want the kids to be secure. When there is a cop on campus, most bad people will leave. This is the answer I have in my notes. It doesn’t really answer the question. This question was followed by the next question. Q: Is it possible to have more security officers at vulnerable times? It was indicated that during some of these more vulnerable times there are traffic cops and others that are also at the school or within the areas. Q: Are there any plans for an SRO at all of the schools? Currently there are seven SROs for the 21 HSE schools. There is one at each of the high schools and then the others bounce between the rest of the schools. Dr. Beresford commented on this question. He indicated that all public buildings such as court houses have security with the exception of schools and possibly post offices. He stated that we have 22 buildings but can’t afford 22 officers. While one person in the audience indicated that the district should raise taxes to get an officer in every school, that person didn’t currently have a child within HSE yet. Dr. Bourff indicated that there has been a discussion on a state-wide initiative for a referendum to cover school security. He stated that there are some schools in the state that might not have the funds for SROs, so there are issues at the state level that need to be addressed. Lt. Johnson indicated that there should be more SROs added to the school He said there has already been a request for another SRO for next year (2018-19 school year). At the more recent public meeting, Dr. Bourff indicated that several SROs could possibly be added next year. He indicated that the district would only hire the right candidates for the role and that any new SROs would need to be trained before they could start. Budget would need to be found to cover any new hires. Q: There was an incident at Fall Creak. Some parents indicated that the communication from the principal to the parents was vague. Who approved the wording? Is there a protocol for such messages when issues happen in the schools? Why was there not communication district wide on the issue? Lt. Johnson stated that the emails sent out for the Fall Creak issue were crafted with input from the police and the HSE administration. Because there was an ongoing investigation and because they were still responding to the incident, some information needed to be restricted. There was pushback from the police chief to limit any communication. Overall, it was indicated that communication needs to be better. One parent requested that more follow-up happen after such incidents to provide a more “warm and fuzzy” feeling to parents so that they know their kids are going to be safe at school. Q: In another state, officers did some of their work at the schools. They used the school as an ‘office’. Could this be done at HSE with the Fishers police? Lt. Johnson addressed this question. He stated that at one point, the officers did do this. At this time, however, the time spent in a roll call room or office by police officers is extremely low because most of the reports are done on the computers in their cars. They have shifted to a paperless system. Having said that, there was also an indication that officers could possibly spend more time in the areas of schools beyond the traffic control that happens. Even having police cars sitting in the parking lots can help. Another response to this question was by the Fishers High School Assistant Principal. He stated that there is a focus on “people over products”. This was related to spending money for solutions whether it be hiring more SROs or buying metal detectors. The idea is that there are a lot of things you can do that don’t cost, and that can be done with what is already within the schools. Having police park in the school lots was one example. Another example that he presented was to have door checks done by students. 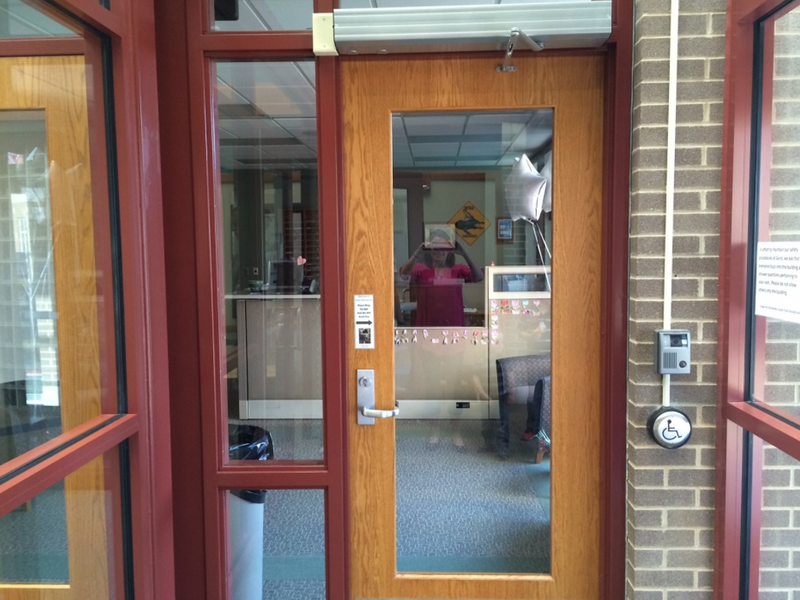 Students with clipboards can check each of the doors on a regular basis during the school day to confirm that they are closed and locked. This not only helps confirm safety, it also teaches responsibility as well as engages students in the process. Q: A lot of schools are election locations. Will this be revisited going forward? Dr. Bourff indicated that, yes, this is a safety issue as is the traffic that such events cause. While a civics lesson would be lost, he doesn’t know how long schools will continue to be used for elections. With the last presidential election, they did close school for that day. Dr. Beresford commented that extra security protocols happen on the election days. Additionally, three HSE schools have already been removed from being used for elections. Those school locations were shifted to churches. Q: Studies are coming out indicating kids are having an adverse reaction to the drills and ALICE. This was stated by a person attending the meeting. The HSE administration indicated that they had not heard this and asked that any information on the topic be shared with them. Q: Stigma Free is at the high schools. Will it be rolled out to the Junior Highs as well? The response was that Stigma Free is at all schools. Stigma Free at the high schools was initiated by students. There are friend groups and such related to this. Additionally, the Guiding All Kids initiative is doing some of the same efforts. Social emotion needs are addressed as are kindness wells, mindfulness, and other things. Dr. Beresford indicated that kids will be under stress their entire life. As such, they need to be taught how to manage life. Q: Will teachers be given guns? This question was addressed at both the meeting in March as well as the public meeting. Dr. Bourff indicated that this is very unlikely. Police officers and SROs are trained professionals. Not only are they trained to use guns, but they are also trained to handle high-stress situations. Training for police officers is updated regularly. Dr. Bourff indicated that expecting a teacher to effectively use a firearm without making a mistake in a high stress situation doesn’t make sense. Such situations are tough for police officers and SROs that go through regular training. Dr. Bourff ended the meeting by asking if it would be good to get with the PTOs to provide training or workshops on what parents can do or communicate around this topic. He indicated that fact sheets could be created as could webinars that could be placed onto the school website. The March meeting was followed up with a larger public meeting, and there were indicates that additional communication would continue to occur. Overall, HSE schools are considered ahead of the curve on what they have done regarding securing the safety of the students and teachers. Even so, the administration has indicated that this is an area where ongoing improvements will continue to address the ever-evolving issues that surround keeping kids safe.